So far we have learned that Arrested Development, The Shawshank Redemption, and Meryl Streep are, respectively, the best television show, best movie, and best living actor or actress. 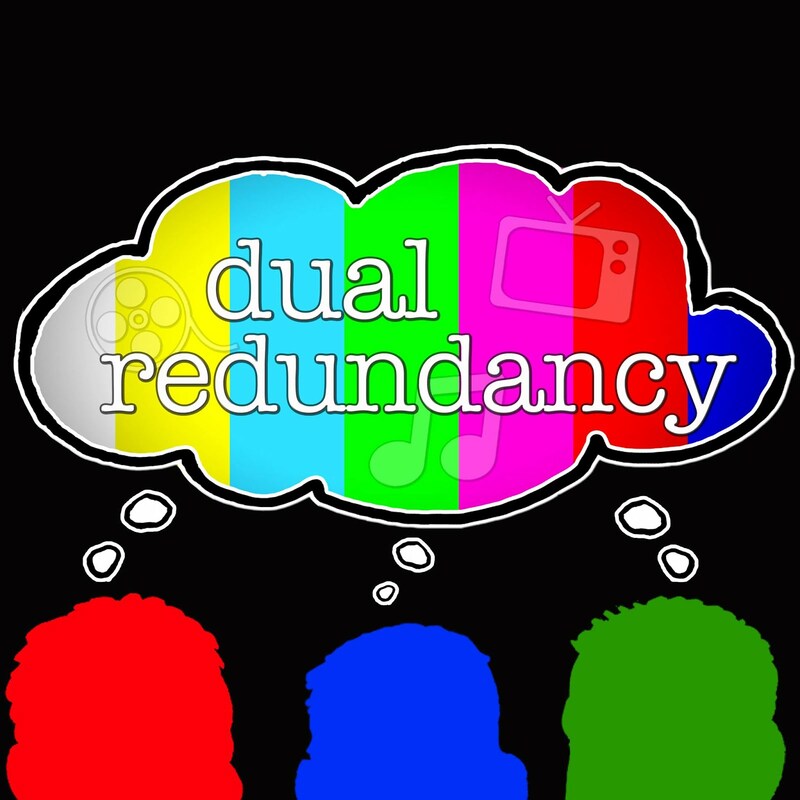 This year Dual Redundancy wants to know who is the top artist or group on the pop charts? We have chosen 32 male artists and 32 female artists and have them competing head to head against each other. After we have a winner in both categories we will have them go head to head in a final round to determine the top of pop! 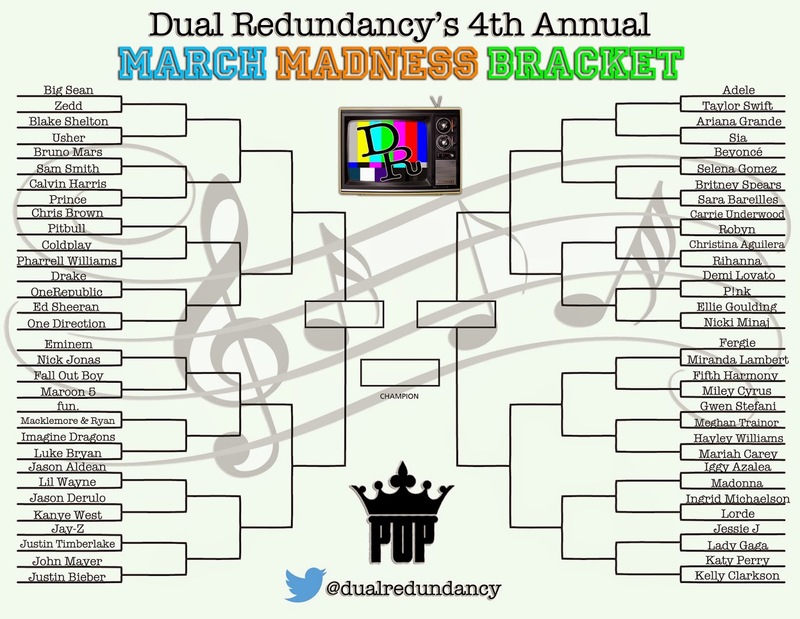 How did we calculate who made the bracket and what seed each person got? A list was made of popular artists and groups. Before looking who was going to compete against who we decided to go based on alphabetical order by first "name". This way we can make it fair for artists with a one word name (Sia and Prince) and can easily mix groups in. Also we are looking at stage names and not the artist's birth name (Lady Gaga instead of Stefani Germanotta). Click here to vote in round one! Only one vote per person.